Mr. Pottle represents clients in a wide range of complex corporate and securities matters, including mergers and acquisitions, corporate governance, public and private securities offerings, joint ventures, restructurings, spinoffs and formation transactions. He represents a variety of business organizations (public, private, not-for-profit, domestic and foreign), their boards and financial sponsors and advisors in numerous industries. He has counseled multibillion-dollar international companies, as well as Fortune 100 corporations. 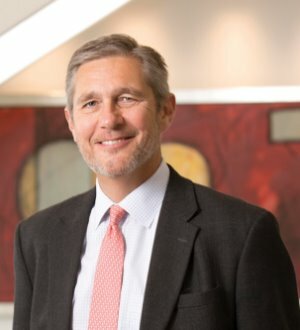 Mr. Pottle’s leadership positions with the firm have included chair of the Health Care Group, co-chair of the Technology Group, chair of the Life Sciences Task Force and founding member of the Corporate Health Care practice area. He is listed in Chambers USA: America’s Leading Lawyers for Business, The Best Lawyers in America, “Top Legal Deal Makers” inAtlanta Business Chronicle, Super Lawyers magazine and the Guide to Leading Healthcare Lawyers–U.S. Mr. Pottle is a member of the American Health Lawyers Association. While in law school at Vanderbilt University School of Law, Mr. Pottle was a member of the Vanderbilt Law Review. Prior to law school, he completed the CPA exam and was a professional accountant with Ernst & Whinney (now Ernst & Young). While at the University of Washington, he also attended foreign study programs in Tokyo and London.